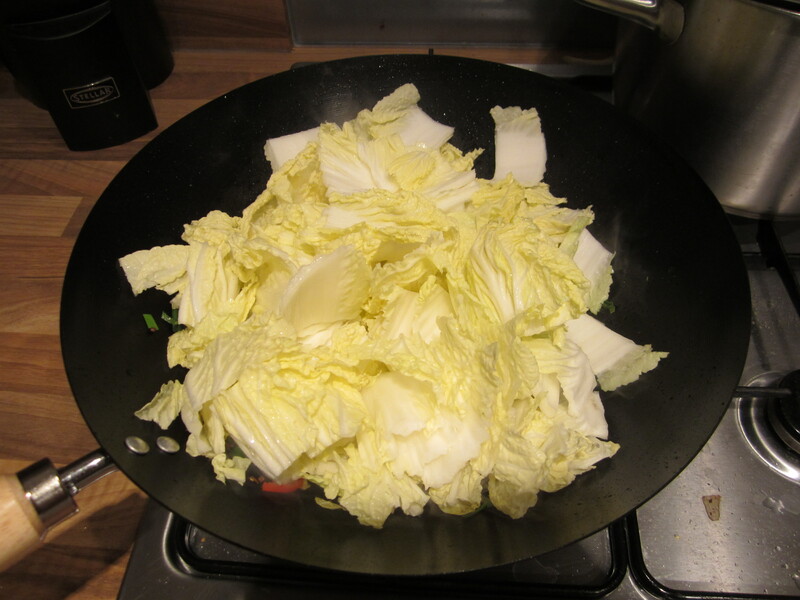 Along with green beans and potatoes, cabbage is another national favorite in China, so much so it’s called chinese leaf in the UK (this is what is considered cabbage in china). Here’s a popular recipe which I’ve always loved growing up in the Shanxi province, but it can also be found in various surrounding regions. Shanxi is famous for two things one of these being vinegar. Unfortunately the traditional method of vinegar making here requires wheat, but I’ve found cider vinegar to be an adequate alternative. I’ve also found this recipe to work well with sweetheart cabbage, it’s extra crunchy which gives it an even better texture. 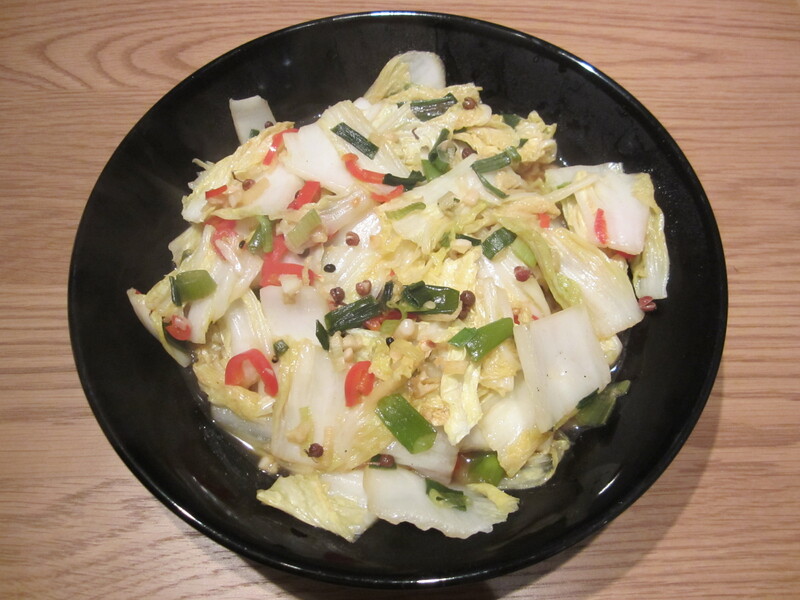 I think this is why most chinese people I know in the UK have switched from chinese leaf to sweetheart cabbage also! This is a great dish to fill any dinning table, and it makes everyone a little less guilty for all the meaty dishes which go alongside it. It’s also super quick to make if you’re in a hurry! 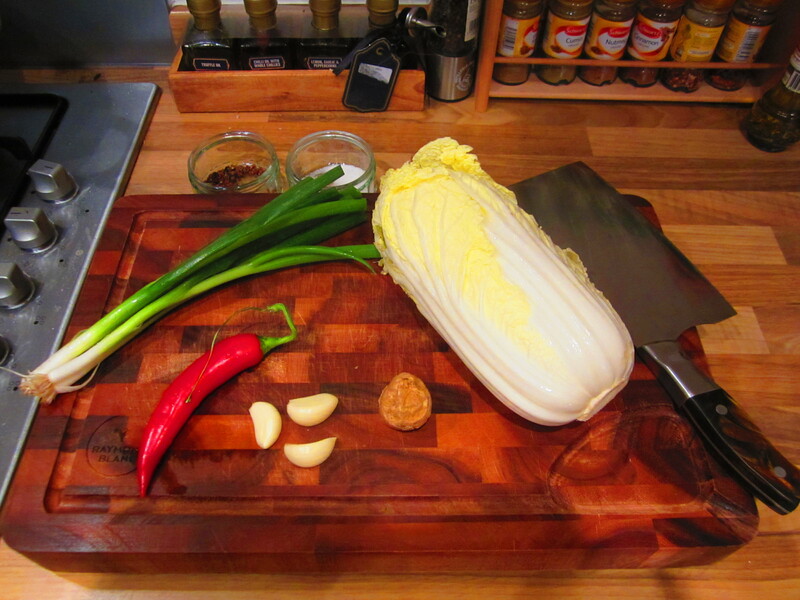 Prepare the chinese leaf, red chilli, garlic, spring onion and ginger. 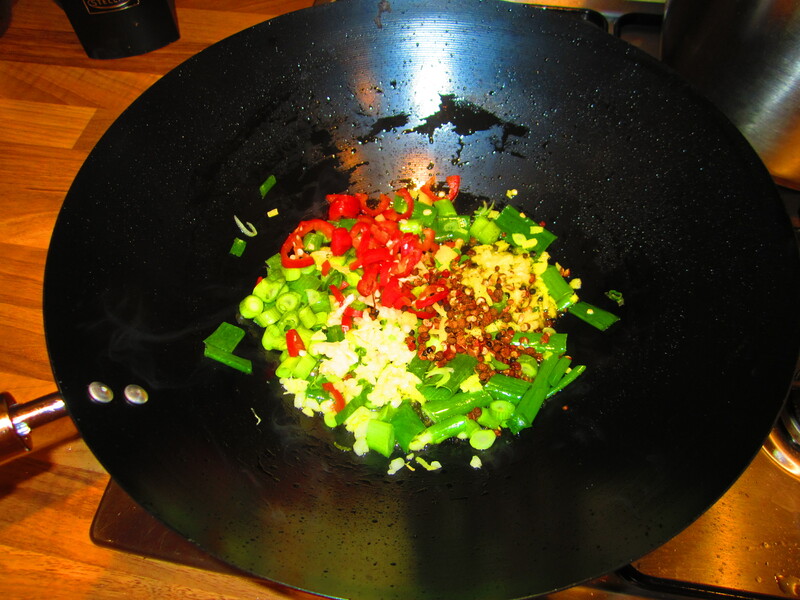 Heat the oil in the wok on a high flame and then add the spring onion, ginger, garlic, red chilli and Sichuan peppercorn. 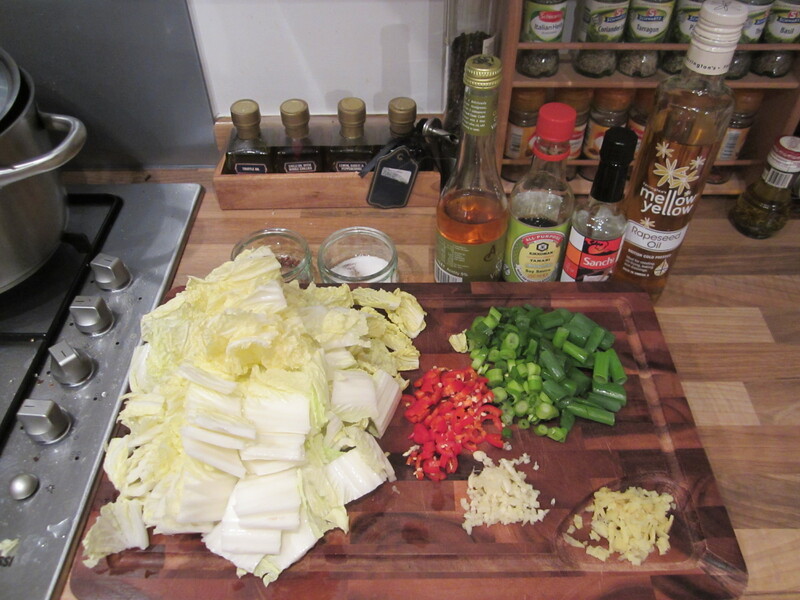 After 2 minutes when the mixture is nicely aromatic add the cabbage. 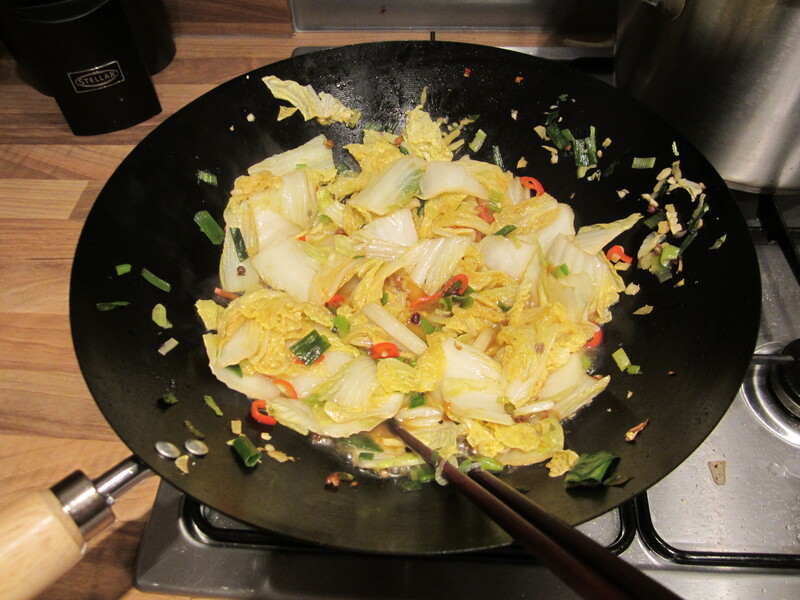 Cook until the chinese leaf is ~70% cooked (~ 2 minutes until just slightly crispy still) and then add the salt, sugar and cider vinegar. Mix well on high heat for a final minute and serve.